Trees are one of the most important things on our planet. They give us paper, they give us furniture and housing, they provide housing for animals, and most importantly, they provide us with oxygen. Unfortunately, certain types of tree removal are largely unavoidable. This is why it’s equally important for us to offer tree planting services as well. Here at Cape Coral's Tree Service, our aim is to care for trees and the environment the best way that we can. 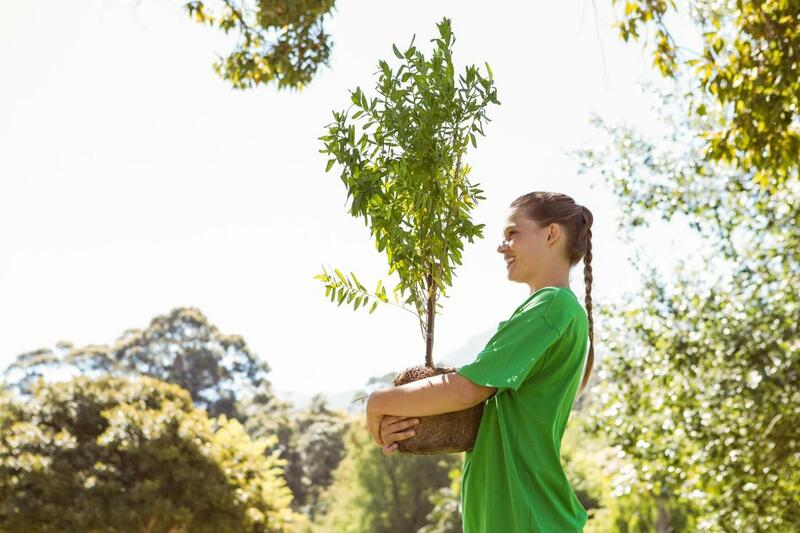 When removal is necessary, we often encourage regrowth through tree planting. We need oxygen to live, which makes it vital to our survival. When our air becomes dirty or polluted, through things like factories, vehicles, and other fossil-fuel burning activities that produce greenhouse gas emissions, we can get sick. But trees are like little healers, dotting our earth. They clean our air, store carbon and improve are overall quality of life. Planting new trees offsets the ones that are removed each year and creates a better balance in our ecosystem. However, tree planting is very hard, laborious work. If you don’t know how to do it properly you could wind up damaging your wrists, or damaging the tree. We offer tree planting services to make sure that this doesn’t happen. Humans are not the only living things that benefit from trees. All types of animals including birds, squirrels and insects call the trees their home. When we cut down a tree, we are displacing the animals that live there. If too many trees are cut down, and wildlife habitats are destroyed, then it will create a massive imbalance in our ecosystem. Everything is a domino effect and eventually the ripple will get back to us. Tree planting ensures that our ecosystem stays healthy and balanced. Simple as that – trees are beautiful to look at. They provide a sense of calm and relaxation. Spending time outside around trees is said to lower your blood pressure, heart rate and stress levels. They also add value to an area. For instance, offices that are near a park are worth more money and are in higher demand. Even just looking at trees through your window increases productivity and gives your eyes a break from the computer. Houses that have big, beautiful backyards have a higher property value. Everyone loves to have a luscious, green view! Trees generate jobs by creating positions for people like us. They create jobs relating to tree trimming services, tree removal services, tree maintenance and tree planting. They also contribute supplies that are crucial to a number of other jobs. For example, without trees we wouldn’t have lumber for buildings and furniture, toilet paper, newspapers and books. Which means that the people working within those fields or who use those resources on a daily basis wouldn’t have jobs either. We’re grateful that trees bring us closer to our community and closer to people like you!